Diabetes Mellitus affects 1 in 500 dogs and 1 in 400 cats and is on the increase. Once diagnosed, we are here to support clients and pets through stabilisation and controlling the disease. Our Diabetic Clinics ensure that the client and pet are happy and coping with their new routines. Initially we teach injection techniques, feeding and exercise regimes. 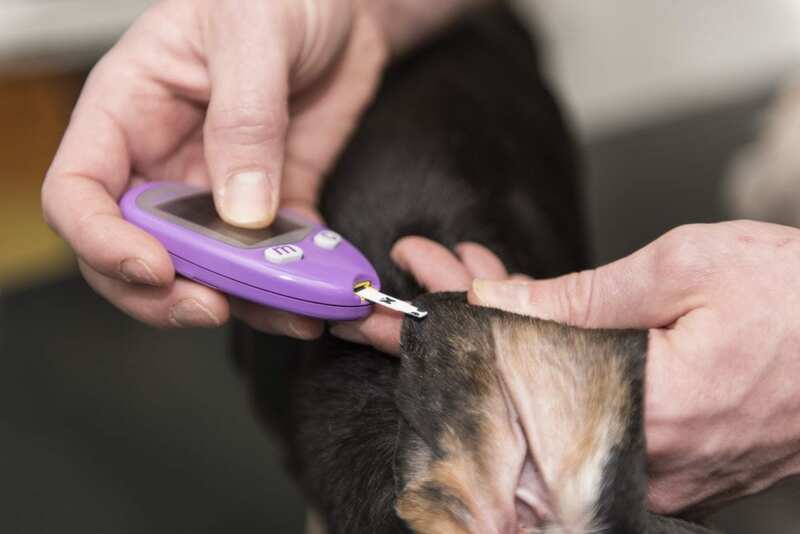 Then regular assessments involve blood glucose checks, monitoring weight and the amount the pet drinks. Clients are assigned a diabetic nurse as a point of contact so we are always here to answer any questions.